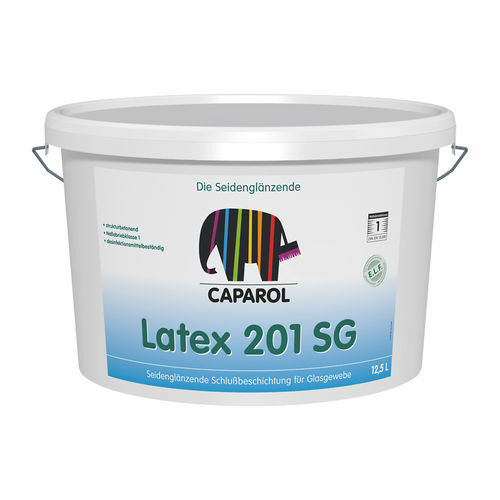 Latex paint with a satin-finished (satin-gloss) surface. For highly stressed internal surfaces. 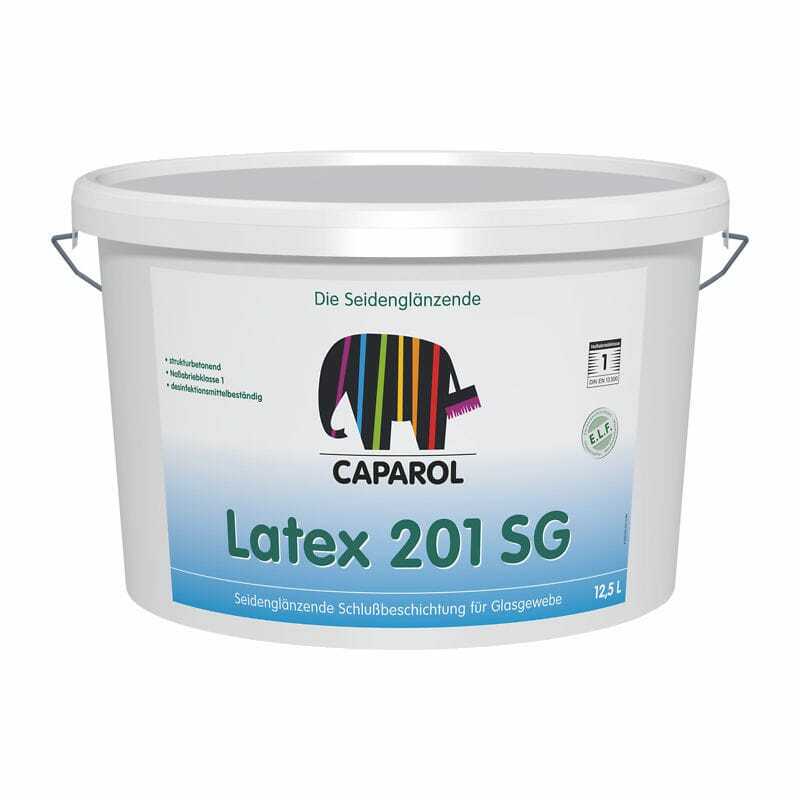 Suitable for coatings on glass fabric wall coverings, woodchip/ingrain, relief and embossed wallpapers. Highly cleanable and resistant to aqueous disinfectants and household detergents. Preserves the texture of substrates. Synthetic latex according to German standard DIN 55945.